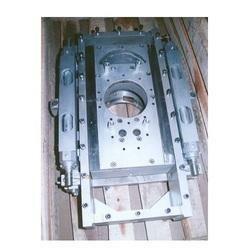 We manufacture and offer Industrial Process Equipment that find their usage in various industries. Our equipments adhere to the industrial standards. 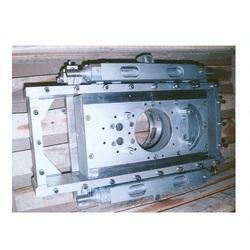 Therefore, we can manufacture these Industrial Process Equipment. Our varied range of products is also customized as per the need and requirement of the client. The Slide Gate Valve Assembly offered by us includes an operating assembly for facilitating the movement of a valve member within the machine, between a first closed position and a second open position. Also, a locking mechanism is mounted on the frame assembly to maintain the gate valve assembly. It needs to be maintained in its first closed position when the associated railway car is subjected to huge impact forces. Provided with a lock striker which can be moved longitudinally relative to the valve member. This action deactivates the locking mechanism while on the other hand, the valve member remains in its earlier closed position. Also provided with an enhanced seal of barrier which prevents material from escaping. 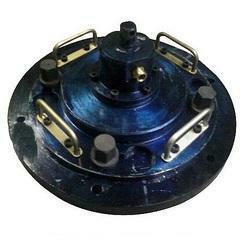 We are engaged in manufacturing and supplying IPV Mechanism Assembly which is made by using efficient valves. Only high quality raw material is used in the production process to ensure that a rapid rate of production is maintained. Also, we conduct regular quality assurance tests in order to make sure that high international standards are followed. The Ladle Slide Gate Valve Assembly offered by us includes an operating assembly for facilitating the movement of a valve member within the machine, between a first closed position and a second open position. Also, a locking mechanism is mounted on the frame assembly to maintain the gate valve assembly. It needs to be maintained in its first closed position when the associated railway car is subjected to huge impact forces. Looking for Industrial Process Equipment ?